Hard Life, Judging. 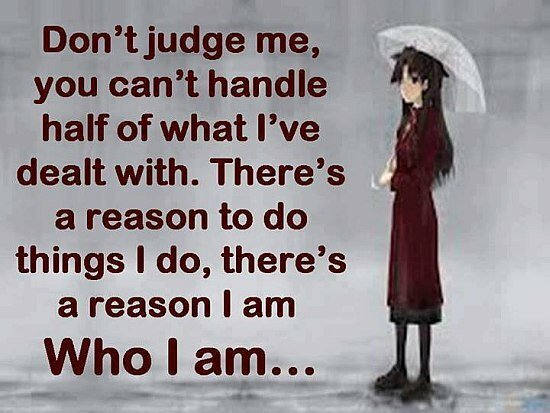 Don't judge me, you can't handle half of what I've dealt with. there's a reason to do things i do, there's a reason I am who I > Sad Quotes with Pictures.